Established in 1961 as a dealership for Hindustan Motors vehicles for about 30 years, the group has since grown to include two-wheelers and three-wheelers from Bajaj Auto Ltd., into its profile, about four decades ago. Over the past half century, the Khivraj Group has spread its activities, and made its mark upon the automobile, real estate and renewable energy sectors. Adding Crown to the Khivraj Group in its 50th year of Customer Service, we were appointed as dealers for KTM Sports and Premium bikes. Grown as a No.1 dealer in Chennai for KTM, we wish to provide the best Sales and Service experience to our Customers through our four KTM Showrooms at Annasalai,Tiruvottiyur, Kolathur and Tiruvallur. 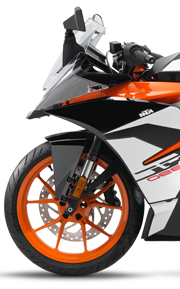 We deal with KTM Duke and KTM RC. 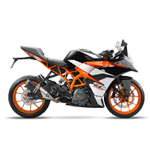 We also serve with three Hi-Tech KTM Service Stations at Annasalai,Tiruvottiyur, Kolathur, which are equipped with all kinds of Special Tools and Equipments. 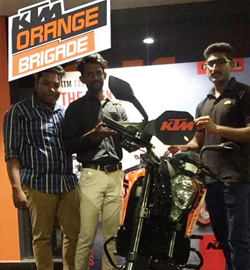 All our KTM Service Personals are well trained and have won various competitions conducted by KTM India. 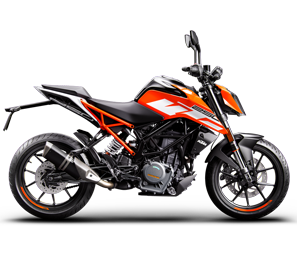 KTM AG is an Austrian motorcycle and sports car manufacturer owned by KTM Industries AG and Bajaj Auto. 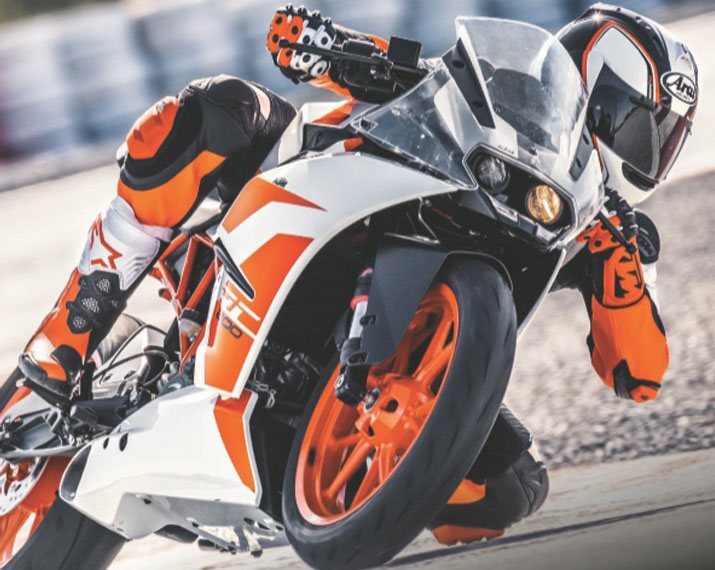 Enter a world of thrills and claim your independence riding the KTM RC 200. 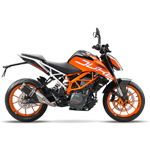 Its incredible throttle response and nimble handling will give you the confidence. Lead the way, riding the sporty KTM RC 390. With Moto3-inspired race genes, the bike features state-of-the-art ride-by-wire technology excellent power. The ultimate everyday racer! 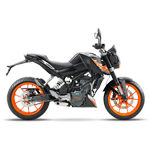 with a perfectly tuned chassis, powerful propulsion, razor sharp handling and intense riding pleasure. It rides even faster then it looks. 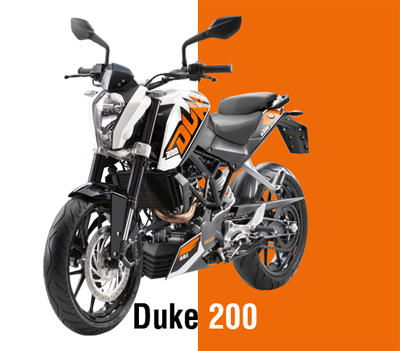 The KTM 250 DUKE is the only 250cc Naked Bike with real racing genes. 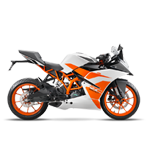 Light, powerful and packed with state-of-the-art technology, the 390 DUKE guarantees a thrilling ride. Taste The Speed of Thrill Near You! 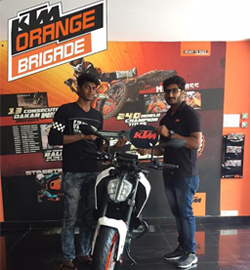 First Delivery KTM Rc-390 in Tiruvallur KTM Showroom. Copyright Khivraj Automobiles & Infrastructure Pvt Ltd. All Right Reserved.